Canada got Pigment Blue Inspires. These are full on luxtreme in the rear. I don't know if this is an error or something new but the upload is up early today (thanks to reader, Melissa, for the heads up). The tennis/golf line showed up. I'm not that excited about the stuff (the roll down Camo Wunder Under crops were uploaded) except I did order the new Burlap Texture Inspire Crops. WOW - what a nice treat for us east coasters!!!! Do you know if the burlap inspires are full on luxtreme? I don't see the textured inspires on the Canadian website. Only the pigment blue inspires. Would you happen to know the difference between the baroque blue and pigment blue? Thanks! Couldn't believe it! Ordered the WU crops in Camo, Solo Bra in black, and the Club shorts in black...actually placed another order for the WU's in an 8, just in case I don't like the 6. So glad I don't have to wait up tonight! I happened to be browsing the Lulu site and saw the bananarama striped wrap so I went on here and saw your post about early upload! Super excited, since I always miss upload because it's too late for me to stay up when I have to get up at 5am for work the next day. Love the early upload and the burlap inspires! Happy happy. So excited for the early upload! Ordered the burlap inspires. LLA did you find the print luxtreme to be TTS or size up? Thanks! Cool! Lulu should give you some sort of kick back because I raced over to the site to check out the new stuff :)! Like I need another pair of Inspires...but they are pretty cool and snagged a pair of these burlap ones. Thanks for the heads up! Thanks so much for the heads up!!! Just the textured Inspires for me. Love your blog! @ anon - I thought the Secret Garden Inspires were TTS but the Petite Fleur were size up. If you are bang on the size chart, I'd say TTS is ok. If you are between sizes, then you might want to order up. Nothing of interest to me. Definitely like the idea of the Burlap Texture, but I don't care for Inspire crops (have a pair I never wear anymore). I'd love to have this in a knee length crop. Here's hoping. Not that I need them, lol. Ha I thought it was odd when I saw that hideous club dress on LLL. The camo fatigue pineapples WUP are uploaded too. Although the pants look black, I think the pineapple print is the only part that is camo fatigue. Woo hoo! No having to wait up or check my phone in the middle of the night! Relative ease shopping, since most people do not know Upload has happened! I got the Inspires in the burlap texture! Nothing else struck my fancy. Thanks LLA! Anon 5:02 here. Went ahead and ordered a size up too since I am in between on the size chart. I'm happy - not only was the upload here while I'm still coherent, but my pace crops are finally up. So happy to see them in soot as well! Got the soot and the wee stripe - will probably go back for the clear mint as well. 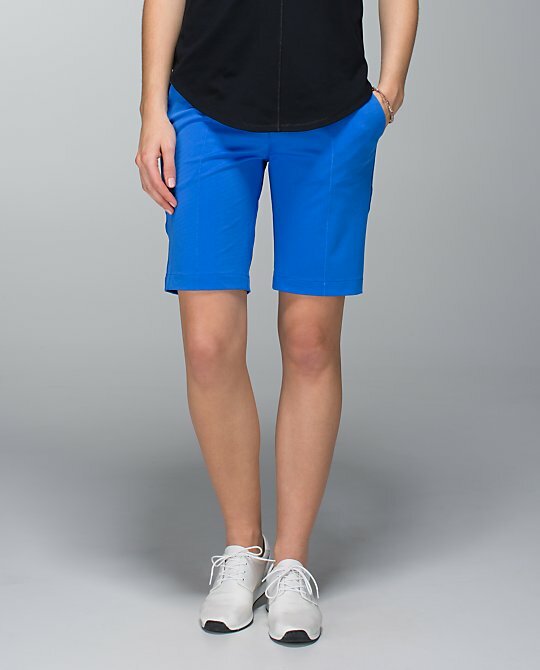 Also got the new Still shorts to try - they look super cozy! And the wee tropics Flow Y and NLT. Expensive night! But at least I can sleep it off now with a full nights rest! Pink camo - that is just too exciting to think about. Anyone know how long it takes from video release for the product to hit the site? I seem to recall it was quite some time from the videos of the petal pop multi until we saw them on the website. Nothing for me but glad to know I don't need to stay up. I just saw your post about upload. It's 8:43 EST and website is just spinning. Cannot get on at all. Bummer. just ordered those burlap inspires, thanks to all of you ordering them first, and making me think they're going to disappear! yesterday i wore my wee space inkwell ones and was thinking how i'd like another pair but it would have to be a special print, and here they are... ugh! also got some in the flow shorts to see if i can stand them on myself for hot yoga, and the cashew WAFS CRB that i was planning to get anyway. suckah! did anyone notice that the pineapple WUP are still called Camo Fatigue Green? is that their real name? LLA check out the skinny groove pants that got uploaded, the reverse side has a sneak peek of a new pattern! I suppose this was an early upload because it was so small. Nothing for me! I'm only looking for the Tracker II shorts in Secret Garden. Thanks so much for the heads up on the early upload! Not sure if I love the upload time though... Fortunately, my afternoon at work was free, so I could get my order in right away. I got the Camo WUC, Burlap Inspires, and WAFS sweat cuffs. Not sure if I will love the Burlap print in person but wanted to grab a pair in case they sell out before I make up my mind. Omg, if they change the upload time to this new time, working people in Western Canada are going to be screwed up completely. Who is on website right after 5 pm? Hope it was just one time event. As for me personally, I accidentally checked the website after I made dinner etc....and almost chocked on it, lol. So, I ordered 2 sizes of camo ( just in case), dress and skort ( just to make sure I look fat in it and then it can go back). Lol. I got the soot and pretty purple speeds. I hope they are as pretty in person. I can't even get into any of the items, the site is overloaded. I'd have no way to order until it calms down, so glad I don't feel there's anything calling my name cause I'm sure it would be sold out by the time I could get in. I'm now thinking the late night upload isn't so bad, LOL. I hope that they don't keep this new upload time- so SLOW!!! Site clearly can't handle the traffic! A bit annoyed at the early upload that I wasn't prepared for. Anything I click on (Canada site) is coming up with an error message. Not only can I NOT view merchandise, I can't purchase! Oh well. Guess I'll have to venture in store again to see what we got in. I like the Burlap texture inspire crops the US got and the Blue tropic In the Flow crop (we didn't get either). Ok, it finally let me in properly. I'm all for early upload now, LOL. Those burlap inspires look awesome. Hopefully Canada gets them. Ordered the pigment inspires earlier tonight but now I can't seem to get on the website. Was trying to go back for the free reign secret gardens but can't! I love the the early load time! I hope they keep it. I think it gives the majority of people ample time to order and not wait up until odd hours of the night (or morning) to order work out clothes! I am so happy ... this will be the first Monday night that I can sleep through the whole night without having to set an alarm! As embarrassing as it is to admit, I know tons of lulu addicts out there that have to do the same. Please please keep this earlier upload time lulu! Or at least make it a variable upload time so we all get a shot at normal ordering hours! I just noticed that Canada got a Bruised Berry water bottle. Does that mean that Bruised Berry is coming back? I would love that! Can't wait to get these new pieces to add to my growing LLL collection! Thanks for heads up on early upload, "Michele" from this afternoon. Now I'll get my beauty sleep tonight, too, along with my new goodies! Wow! Complete surprise on the upload time. Didn't find anything I want or need, though. I am hoping for a cute non-pacesetter skirt (as usual) or a pair of Speeds I can't live without. The pigment blue striped ones were tempting, but I'm afraid of sheerness. I want to check those out in a store. So interesting that despite all the Secret Garden previously released there's still women wanting different pieces released in it. Tonight someone's wishing for it in Tracker. Guess LLL knew what it was doing buying all that floral fabric, huh?!? ordered the pigment blue inspires. just checked back and it says its my size is no longer available. does anyone know if it means i will be receiving my order if i got the Order Confirmation email? or is there still a chance i won't be getting it? Laughing at the west coasters complaining about having to be on the website at 5 pm. Try having to set your alarm for 1 am, do your shopping, and then fall back asleep. Upload wasnt at 5pm PT it was at 415pm only reason they are complaining is because most people are at work or picking kids up from school unable to get to a computer! Im not complaining I dont care when it is I would happily wake up at 1am without complaining about it but I do see their point an hour later wouldnt be bad but there will always be unhappy people!! I say make upload time different every monday screws with the evilbayers and product lasted a bit longer !!! The old upload was at 1:45am for me! Totally insane and not doable for a normal person with a professional job. Yes no offense to West coasters, but us East Coasters have gotten the shaft for soooo long now. 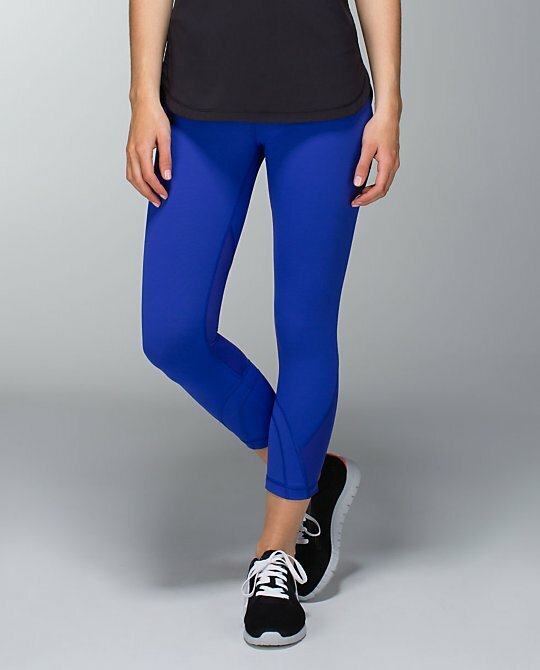 As someone pointed out on heylululemon, notice how many Ebay sellers are West coasters. Has anyone seen the soot light WUC in a US store? Saw a few pics on here last week but they weren't in the upload. LOL @ anon 7:01am - the world does not revolve on BC/Cali time. Those of us in this time zone (3 hours ahead of you) have real jobs and real work hours - that would be why we complain about 1 am uploads. the material on the roll down camo WUC feels really rough. I did not like the texture at all. I haven't even gotten a chance to look at the lulu website. Just checking...do the Pigment Blue Inspires not have the mesh on the backside of the knee? I'm noticing a lot of folks talking about full luxtreme...? Yay for early upload!!!! Appreciative East Coaster here. It really wasn't fair to us. Now everyone is awake for the upload. Was tempted by the burlap inspires but passed. 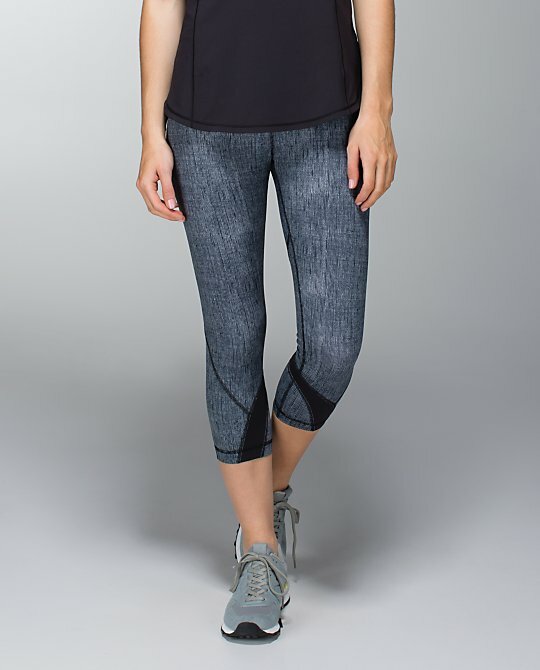 Thanks above to the person who listed the link on the lululemon website to give our feedback. It is funny to see how people laughing at how ugly are those Club dresses, on the other side, look at them sold out in all sizes by this AM. I'm cracking up at the comments about what time the upload is! People, it's work out clothing!! I love LLL but clearly not enough to stay up into the wee hours of the morning to place an order or get all worked up about not being able to get to the computer at upload time. I do, however, have the luxury of 3 LLL stores within 20 miles, so maybe I'm jaded. Totally missed out on upload goodies because of working. Yes most people who work don't get home until 6 or 7 pm. I would gladly set my alarm to wake up @ 1 or 2 am....it's only once a week! Many of us with children are up at odd hours taking care of stuff anyway. Gotta agree with anon 9:38. I'm an East Coaster but don't really care either way. I get up early--4:45 AM--to work out before going to work (and am home by 4 PM so clearly not in anon 10:19's "most people" category, lol), so I'd never wake up in the middle of the night to shop. Sleep, exercise, and work are more important to me! If something's sold out by the next morning, I lose out but my wallet is happy so it's not the end of the world. Bottom line is that everyone has different schedules and preferences and what works for some does not work for others. Oh well! First world problems indeed. No computers at work? you can take a small break and take a peak. I think it's great that Monday's upload time was moved earlier, it gives us EST people a chance to order at a civilized time. I was ok with the middle-of-the night upload too, being one of those lucky people who can wake without an alarm clock, order and go back to sleep. Lately though, everything I wanted was gone within two minutes of the upload, so it was kind of frustrating. But I was able to get a much-desired camo wuc yesterday, so I'm optimistic about the new upload timing. Love the burlap inspires, too bad Canada was left out! @Anon 9:07am You must be in Canada, because as of 3:36pm, nary a size is sold out in the US in either color of those horrid dresses.